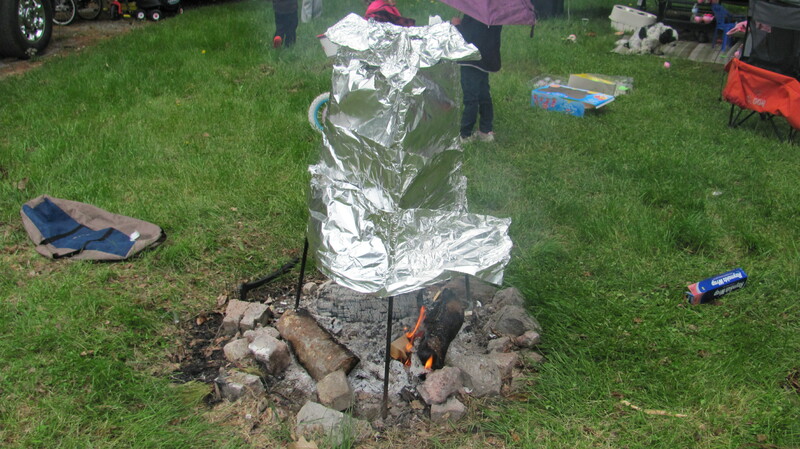 Our Story of Transitioning from "Are We There Yet Camping" to "Extended Stay Camping"
As a follow-up to my Five Things Everyone Should Have In Their Camping Kitchen post, I thought that I would share with you how we turned our Rome Tripod Grill into a smoker. Taking a peak inside to see how the chicken legs are doing! Simply wrap it up in aluminum foil! It actually worked out very well. You’ll need some extra long tongs to help with the heat. As Jeff Foxworthy might say…..
You might be a redneck when you spend more time cooking outdoors than you do indoors! This entry was posted in Cool Camping Gear & Gadgets and tagged Camping, Chicken, Cooking, Fire, Food, Jeff Foxworthy, Rome Tripod Grill, RV, Smoker Camp Fire, Tent, Travel Trailer. Bookmark the permalink. Very clever! I bet it worked pretty good! Thanks for commenting Patrons of the Pit! It did work out very well. 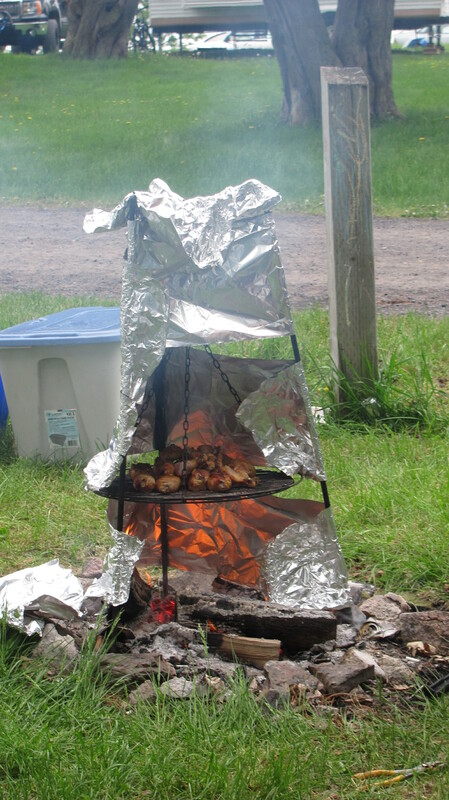 A friend of ours, who is a local chef, was camping with us and really enjoyed the chicken legs! My husband was very flattered by the compliment! We can’t wait to make another batch. Happy Camping! 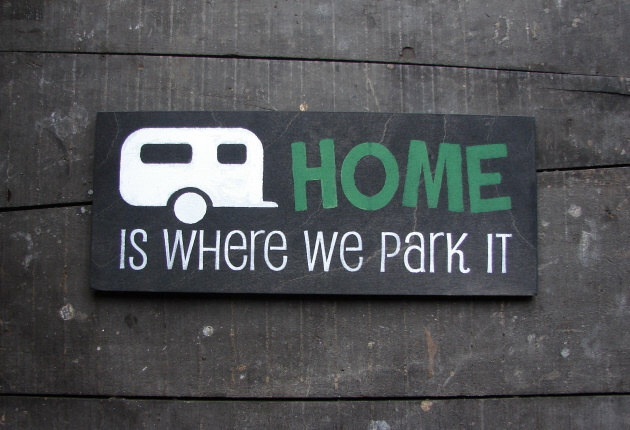 © Home Is Where We Park It, 2014. Unauthorized use and/or duplication of this material without express and written permission from this blog’s author and/or owner is strictly prohibited. Excerpts and links may be used, provided that full and clear credit is given to Home Is Where We Park It with appropriate and specific direction to the original content.